A few months ago we took a week long trip down to Greensburg and Campbellsville in Kentucky. Our trip was mostly a business trip, but we were able to fit in some sightseeing along the way too! 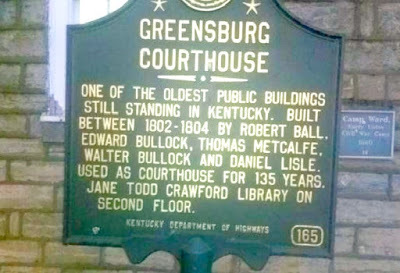 One particular place that we visited was the historic old Greensburg Courthouse which was built between 1802 and 1804. It's one of the oldest buildings still standing in the entire state of Kentucky. 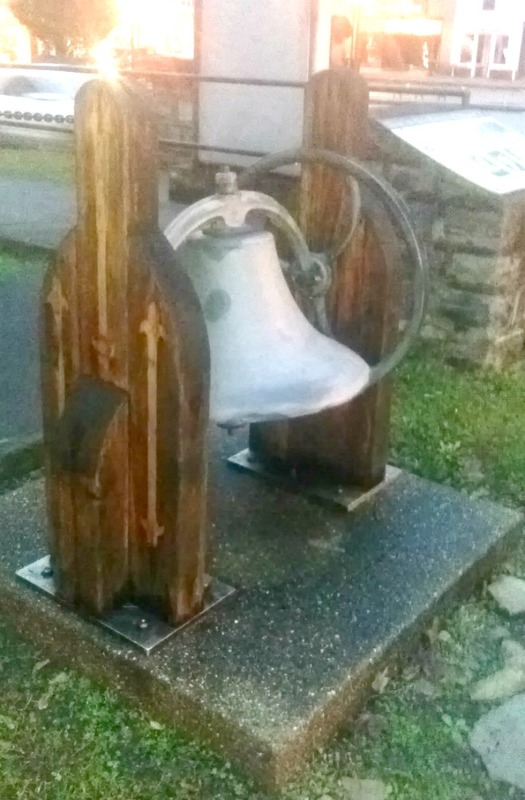 When you visit the site, you'll find the old courthouse building, a historical marker with information and a few other goodies for you to see. Heading that way? You'll find it at the corner of E. Court Street and S. Main Street in Greensburg. One of the oldest public buildings still standing in Kentucky. Built between 1802-1804 by Robert Ball, Edward Bullock, Thomas Metcalfe, Walter Bullock and Daniel Lisle. Used as a courthouse for 135 years. Jane Todd Crawford Library on second floor. By: Kentucky Department of Highways. On the evening that we visited, the sun was setting, so hence the reason our photographs aren't the greatest. If you've never visited Greensburg, it's a charming old town that is rich in history. All of the locals that we encountered were friendly and we enjoyed talking with them. We were just passing through, but stopped to grab something to eat and were able to explore the old Greensburg Courthouse area before we had to go.